With overwhelming numbers of nail polish colors to choose from, it can be hard to narrow it down to just the right color. What will stand out, while also not standing out too much? What will complement your outfits, while also blending in? The never-ending nail polish choice haunts you every time you walk into the nail salon. However, today that pressure is over. 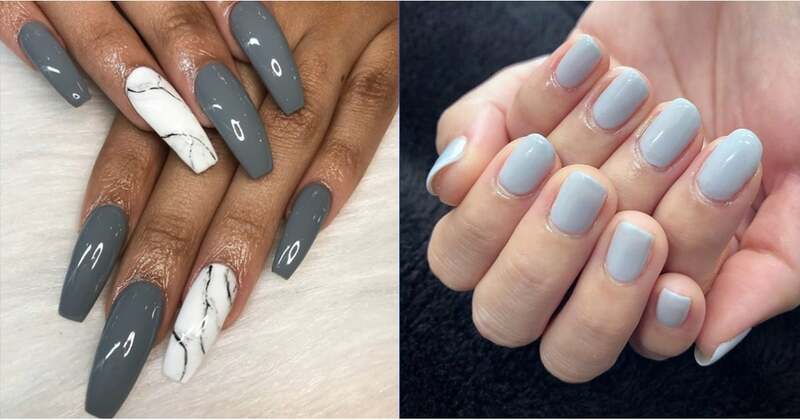 The “gray space” nail trend is here, and it’s perfect for every occasion. Gray can be cool and calming or it can be done-up and exciting. It can be subtle or make a fashion-forward statement. The next time you’re at the nail salon, look for the gray hues to get you through.